ow successful are you either personally or professionally? Well … now is a good time to complete the online check below to see how you perceive your level of success. Get a reality check on your current success and areas for improvement and we will even send you a full electronically presented report. 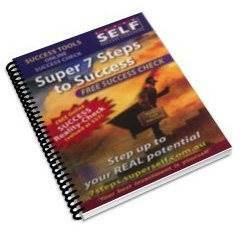 This Success Reality Check is ideal for anyone who is looking for more success. You can focus on your own personal success whether it be in life, your business or the organisation you work for – it’s up to you ! Complete the quick and easy online questionnaire below and qualify for your very own personalised FREE Success Check Report that will be emailed to you!